I remember years ago when I was in a wheelchair and came into the Spokane Healing Rooms to get prayer. I was desperate for a touch from God. When I was prayed for and healed by God I knew that this was an anointed ministry and I wanted to become a part of it more than I had been. I started looking around and came across the table in the waiting room that had the Partners brochures on it. I picked it up and knew I wanted to sow into this God ordained ministry. The minute my husband and I made that decision something took place in the spiritual realm. I felt it and knew that we were under a covering of God’s anointing through this ministry in a way I had never felt before. I had experienced a miracle from God when I was healed. I knew that the people volunteering here were walking in the great commission. Had they not listened and done what God put on their hearts to pray, I would have not been healed. It has been put on my heart lately that the great commission is one of the keys to opening the door into the kingdom, were we put our feet in action and trust that Jesus is giving us the wisdom and words we need. When we recognize that when we partner with this as a body we can then anticipate the fulfillment of the calling God has on our lives. It is vital that we know for certain that Jesus calls us to be more loyal to him than to any human, understanding that discipleship means submitting your own interests in favor of God’s but also recognizing that Jesus calls His disciples to go to people of all nations and teach them how to know Him and live for Him. Another major key are Jesus’ teachings on how to build and maintain right relationships with God and others. He views these relationships as critical components of our Christian lives. Knowing God is our highest priority but this pursuit should not replace or diminish our interpersonal relationships with others. Rather, our personal interaction with God should produce within us the qualities of character that build and sustain all our relationships. We need to practice reconciliation, love by choice and understand that God forgives our sins as we forgive others who have sinned against us. Be diligent to ask the Lord to examine your own heart and be faithful to respond to His conviction. 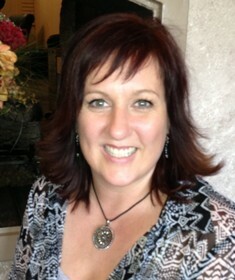 Michell Upmeyer is head of our Partners department and coordinator of the Healing Rooms School of Ministry.